The western military bloc couldn't persuade Afghan farmers to grow wheat instead of opium poppy, says Russia’s Federal Drug Control Service. ­Viktor Ivanov, Federal Drug Control Service Director, gave NATO a failing grade in its efforts to wean Afghan farmers away from poppy in favor of wheat production. "This means that the alternative development status has failed," Ivanov said. 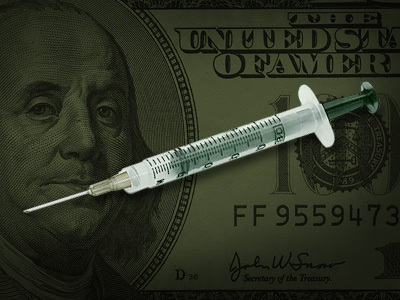 The Russian minister recently revealed that the heroin flow from Afghanistan has increased to dangerous levels. "The production of hard drugs such as heroin, opium, and hashish in Afghanistan remains at a high level. 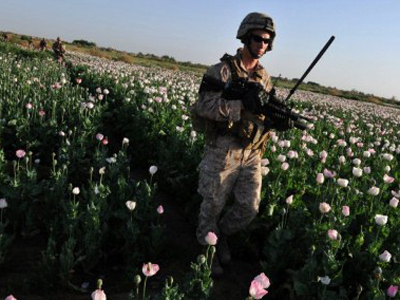 Opium production in Afghanistan went up 61 percent in 2011, while areas used for poppy production have increased by some 7 percent,” Ivanov said. This indicates that the narcotic production infrastructure continues to grow stronger in Afghanistan, which leads to drug trafficking…in the direction of Russia, he added. 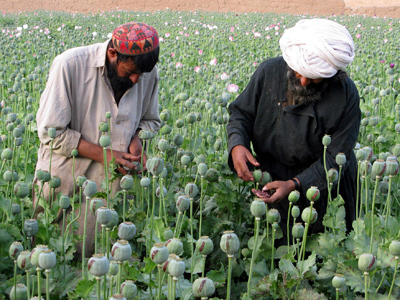 US and NATO officials have been stuck in a Catch-22 in the fight against Afghan opium. On the one hand, they are attempting to "win the hearts and minds" of the local population, which increasingly depends on the cultivation of opium poppy for their livelihood. On the other, they need to cut off finances to the Taliban insurgency, which is fueled by the sale of opium poppy to foreign markets. The Islamic country now produces some 90 percent of the world’s opium, the great bulk of which ends up on the streets of Europe and Russia. 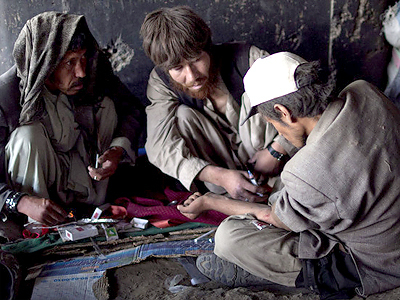 According to recent statistics from the Federal Drug Control Service, Russia has over one million drug addicts, while the majority of them are addicted to Afghan heroin. More than 100,000 Russians die from drug abuse each year, and with the country in the grips of a dire demographic crisis, it cannot afford to ignore NATO’s flagging efforts to combat the opium scourge.